At this very moment, I should be reunited with my mother, whom I haven't seen for nearly three years. However, my innocent mother is still being held in your labor camp. She has been abused by officials from the Hefei City National Security Bureau and the city police department. Herewith, I demand that you immediately release my mother, Ma Jinhua, so that we can be reunited! September 4, 2008, marked the end of my family's peaceful life. Hefei City National Security Bureau officials were responsible for this dramatic state of affairs. In September, my mother received a visa and a ticket and was going to visit my family in the US. 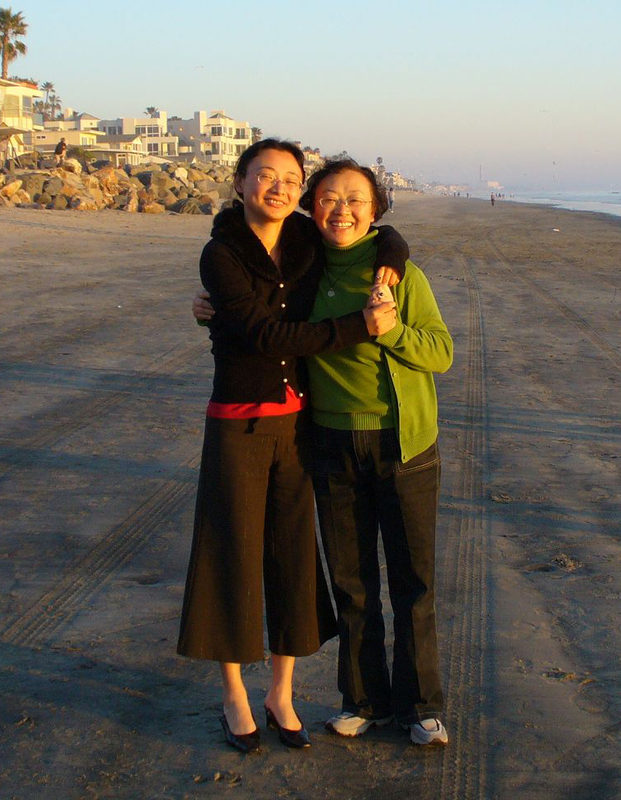 Just before her departure, police officers from the Hefei National Security Bureau raided her home, on a mission to suppress Falun Gong. My mother, a retiree at the age of 56, was forced to endure a week-long secret interrogation and was then sentenced to one year of forced labor, all within just three weeks. Officials from the national security bureau and the police department collaborated to make this happen very quickly. She was sent to the Anhei Province Women's Forced Labor Camp. During this period, my mother was detained, had no freedom, and was allowed only limited visits from family members. All her legal papers for visiting the US were seized. Later, during an interrogation, officers from the National Security Bureau revealed that they had monitored calls to and from my parents' house for a long time. Everything they did to my mother was illegal, absurd and inhuman. She is an everyday citizen, an older woman who believes in Truthfulness-Compassion-Forbearance. My mother is kind and righteous. She is not only a good wife and a good mother but also a good friend to me. She has been a wonderful influence on me. She taught me to think of others, look at the good side of others, and treat others with kindness. Because of her sincerity, she has good relationships. Whenever I encounter any conflicts in life, I always discuss them with my mother and get good advice from her. I always feel lucky and proud to have a mother like her. I can't imagine that my mother is being subjected to such persecution after retiring. I haven't heard her voice for over a month. There is no way to know how much she is currently suffering. My mother has a granddaughter. She is supposed to enjoy life at her age. How can she endure life in a labor camp? Who signed the document that sent her to this labor camp? Everyone has a mother. There is an old saying, "Do unto others as you would have them do unto you." Truth must be distinguished from lies. You should treat Falun Gong practitioners kindly and you will have a way out and be able to accumulate virtue for yourself and your descendants. I again urge you, "Immediately release my mother! Let my mother and me be reunited!"